Garyou Tensei refers to the final dot of ink that the Japanese believe brings life to a drawing; for a dragon, for example, the finishing touch is its eye. This book contains a series of 108 hand-painted, traditional Japanese kaina, Japanese short-sleeve tattoo designs applied to the upper left and right arms. All of the designs in this volume are by the young tattoo artist Yushi 'Horikichi' Takei. 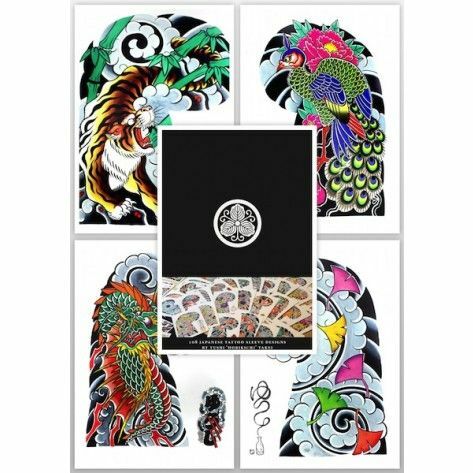 Tattoo Flash Book - Garyou Tensei: 108 Japanese Tattoo Sleeve Designs by Yushi 'Horikichi' Takei Garyou Tensei refers to the final dot of ink that the Japanese believe brings life to a drawing; for a dragon, for example, the finishing touch is its eye. 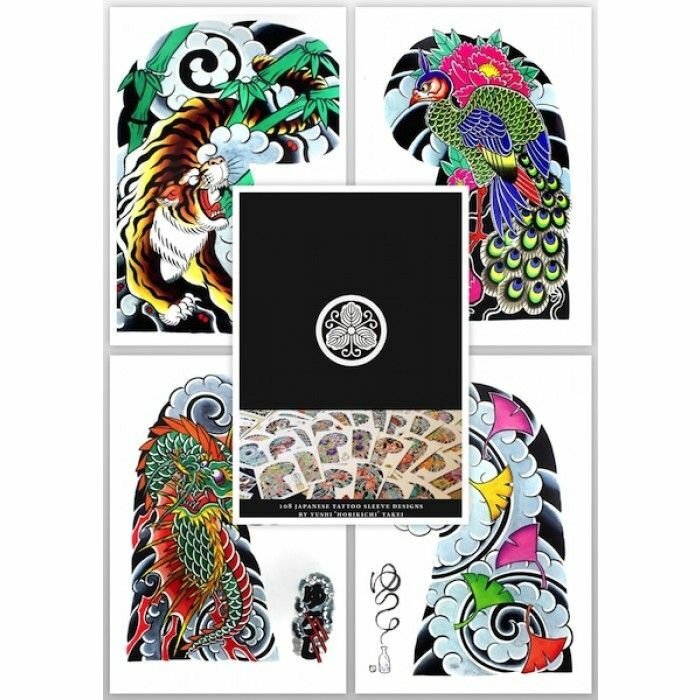 This book contains a series of 108 hand-painted, traditional Japanese kaina, Japanese short-sleeve tattoo designs applied to the upper left and right arms. All of the designs in this volume are by the young tattoo artist Yushi 'Horikichi' Takei.